I am just back from work cycling. On my journey, I had some rain showers and while I was pedaling in my wet clothes, I thought that a hot shower followed by a tea with madeleines will be wonderful to recover. 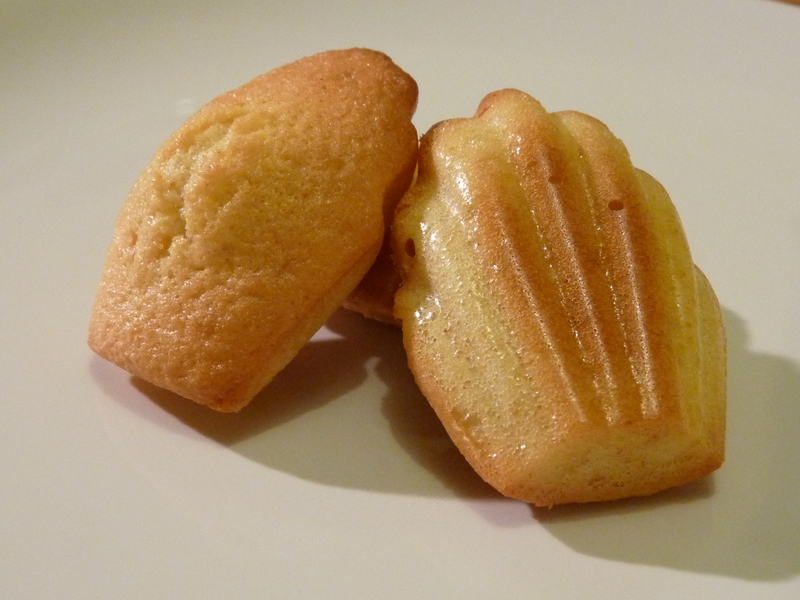 Madeleines or shell-shape cookies as they are called in the United States. Let’s go to bake them (another French secret) with the recipe below which is quick and simple. In a bowl, whisk the eggs with the sugar. Add the flour, the baking powder, the melted butter and the lemon juice. Pour in madeleine tin and bake for 10 minutes at 220°C. This entry was posted in Recipes and tagged madeleines, shell shaped cookies by thebloodyfrog. Bookmark the permalink.